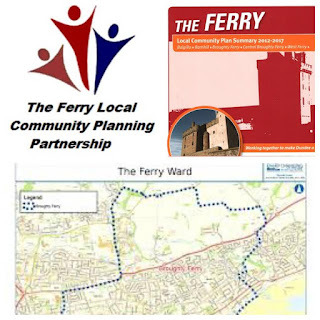 On Thursday afternoon, I attended the Quarterly meeting of The Ferry Local Community Planning Partnership which was held in Broughty Ferry Libary beginning at 17:30. I always find this a useful meeting to attend because the agenda includes updates from voluntary, council and community organisations as well as presentations and consultations about new and proposed developments. At our meeting on Thursday, the LCPP heard a formal presentation and consultation from Council staff about the proposed enhanced facilities for charging electric vehicles in the Queen Street Car Park. I have previously reported about this in this blog. 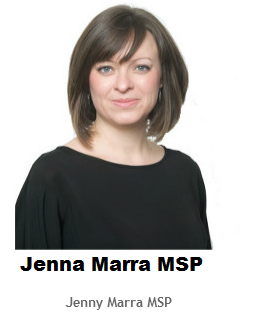 Folk who want to hear this presentation may do so when it is repeated at the next meeting of the Broughty Ferry Community Council to be held on Tuesday 6 December 2016 beginning at 7pm in Broughty Ferry Library. The LCPP also had a presentation on initial results of the Engage Broughty Ferry survey and the implications of the 'A Fair Way to Go: Report of the Dundee Fairness Commission'. A follow up event to tease out the way forward for partners will be held in early 2017. Two new PCs from the local policing team for Broughty Ferry introduced themselves and committed to resuming their regular attendance at further meetings of the LCPP and other community organisations.